Sometimes life events converge to the point where personal goals, such as producing one shareable photograph per week, seem to move off the grid. Or maybe not. 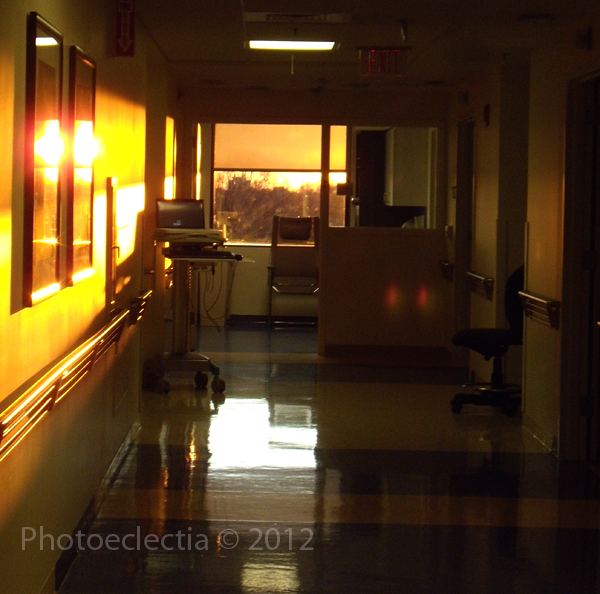 I almost posted a picture of a keyboard, but instead will share this lovely view of yet another sunset appearing in a window at the end of a hospital hallway. 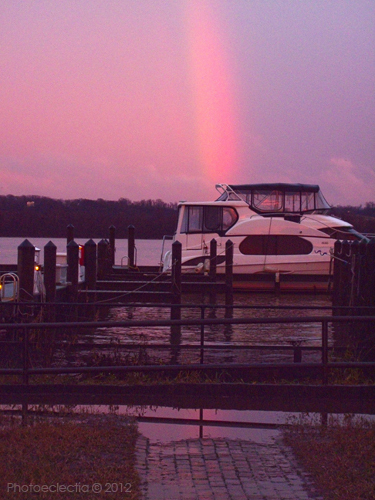 The same rainbow, now only a memory, as it faded into the sunset and obscurity at the King Street pier. It had been raining all day. 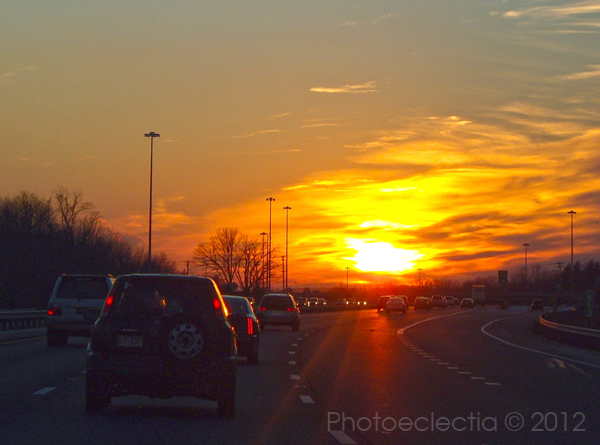 I just happened to be driving down King Street in Alexandria towards the waterfront when the sun broke just before sunset. 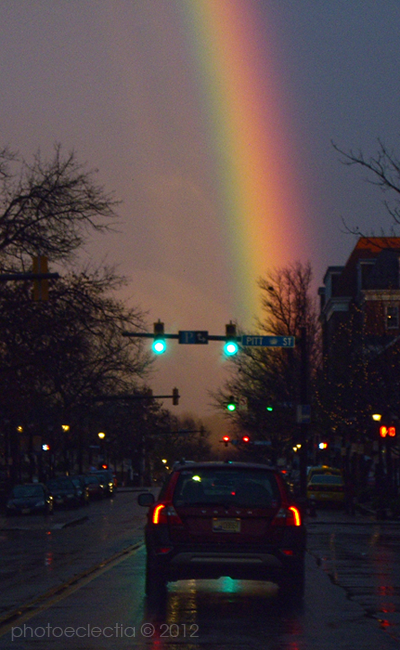 And then all of a sudden, this huge rainbow filled the sky, with one of its ends dipping down at the end of the street in front of me. I took out my Nikon Coolpix and began snapping.